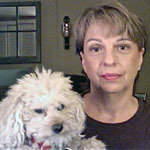 Dr. Lorna Grande is a graduate of Tufts University School of Veterinary Medicine She began her career working in animal shelters as a teenager and has been affiliated with shelters ever since from creating one of the first in the nation in-house shelter spay/neuter programs to serving many years on the Board of Directors of both Open Admission and Limited Admission animal shelters. During her time in small animal practice she started to recognize veterinarians as not only serving their non-human patients but as family practitioners. The connection between animal abuse and interpersonal violence is a topic she has been interested in for many years. In 2001 she founded HAVEN: Human/Animal Violence Education Network. HAVEN is a multidisciplinary group of Berkshire County (Massachusetts) professionals who work to raise awareness about the connection between animal cruelty and violence. HAVEN partners include police, animal control, domestic violence programs, child advocates, prosecutors and mental health professionals. HAVEN has trained professionals ranging from DV workers and veterinarians to juvenile court judges. For many years, Dr. Grande was a faculty member in the Veterinary and Animal Sciences Department at UMASS/Amherst where she taught animal welfare. She is presently adjunct faculty at Berkshire Community College and a continuing education advisor for HSVMA.